Barbara Jean McGlone Lambert, 65, of Trace Fork Road, Vanceburg, passed away Sunday morning, July 29, 2018, at her home. She was born May 10, 1953, in Lewis County, a daughter of Hilda Reynolds McGlone of Vanceburg, the late Ervin McGlone. Barbara was a member of Trace Fork Christian Holiness Church for over 40 years and was a homemaker. She enjoyed going to church, singing with The Sounds of Victory for 28 years, taking care of the church flower fund and spending time with her family and friends, especially with her grandson, Jakson. 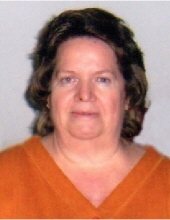 In addition to her mother, Barbara is survived by one son, Jamie Lambert and Amanda of Vanceburg; one grandson, Jakson Lambert; three brothers, Ronald McGlone of New Richmond, Ohio, Wayne McGlone of Bucyrus, Ohio, and Charles Ellis McGlone of Sycamore, Ohio; and two sisters, Rose Applegate of Vanceburg, and Bonnie Wallace of Canton, Michigan. She also leaves many other family members and friends who will sadly miss her. In addition to her father, she was preceded in death by her husband of 28 years, Elwood Lambert. Services will be at 1:00 p.m. Thursday, August 2, 2018, at Dickerson Funeral Home in Vanceburg, with Bro. Keith Sargent and Bro. Terry Cooper officiating. Burial will follow in Riley Cemetery. Friends may visit from 11:30 a.m. until 1:00 p.m. Thursday, August 2, 2018, at Dickerson Funeral Home, 110 West Second Street in Vanceburg.